NannySOS understands that some families prefer to have a certain level of privacy. This is why we also offer part time or day time confinement nanny service. 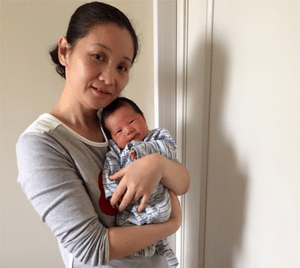 Ministry of Manpower (MOM) work permit regulation still require the application of confinement nanny work permit for part time confinement lady from Malaysia to work in Singapore. MOM licensed agency can help you with the application submission. 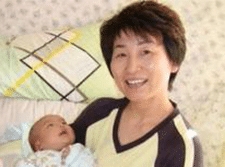 Day time confinement nanny will only be at your place for 9 hours (9am – 6pm). Although day-time nanny don’t support overnight 9pm – 8am, but you can let us know as well. She will take care mother and baby during daytime, cook confinement food, laundry but will not be staying at your place at night. After the stipulated working hours, they will return to their own accommodation. Who Should Use A Day Time Nanny? Help out for 28 days (9am to 6pm) after mother is discharged from hospital. Prepare Red Dates Longan Tea everyday as it brings benefits such as blood nourishment and is beneficial to heart and kidneys. Essential revitalizing drink for health during confinement period. Do take note that the cost of a day time confinement nanny would be similar to a full-time nanny. Normal rates for hiring part time confinement lady will be in the range of SGD2300 to SGD3200. The confinement nanny price is the same due to the following reasons. The rates will be higher than usual during Chinese New Year (CNY) or taking care of twins. The confinement nanny work permit application fees is $30. 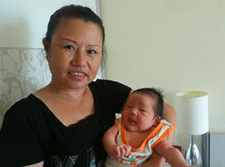 MOM levy fees $60 or $265 is applicable for hiring Malaysian nanny. Hence, we seek your kind understanding on this. Require further details on day time or part time confinement lady service? Send us your message and we will get back to you within 24 hours. Is there anything you would like us to take note? Nanny has a room for herself and baby.Nanny sleep with baby and mummy in a room.Nanny sleep in a room together with helper.Nanny does not sleep with baby but has a room for herself only.No room for nanny. Nanny has to sleep in living room.No room for nanny. Require 9hr stay out nanny. Yes, have bed for nanny in a room.No, nanny will be sleeping on thick mattress on floor in a room.Others. What is your diet for Nanny to take note?